Nineteen years ago, a famous man disappeared from L.A., taking his two children to a rocky, desolate corner of New Mexico where he raised them in complete isolation in a utopian “Sanctuary,” away from the decadence of America. Now, Dorothea, the man’s twenty-three-year-old daughter, is leaving this place for the first time, in search of her missing brother, a brilliant painter who fled the Sanctuary himself two years before, only to become lost in the dark underbelly of St. Louis and the even darker memories of a violent incident when he was a young child. Dorothea’s search for her brother will turn into an odyssey of discovery, leading to the shocking truth about her family’s past and the terrifying events of the day that drove her father to flee California in a desperate attempt to protect his children from a dangerous world. But Dorothea’s journey will also introduce her to another man who has suffered his own losses, and together they have a chance to make a discovery of a different kind: that though a heart can be broken by the tragic events of a day, a day can also bring a new chance at love and a deeper understanding of life’s infinite possibilities. 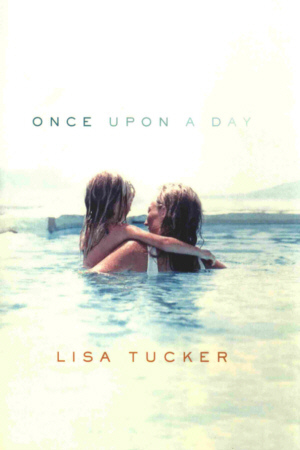 Beautifully written, and always compelling, Once Upon a Day is an epic tale of tragedy and forgiveness. By design, the spirit of Jane Eyre looms over Once Upon a Day. Lisa Tucker keeps the plot of this Hollywood Gothic bubbling with hard-luck heroines, a mad brother confined to an asylum, a madder recluse of a father, and tons of juicy family secrets.